I love it when a fashion icon is recognizable by the wild streak of white in her hair...and this cake pays homage to such an interpretation. 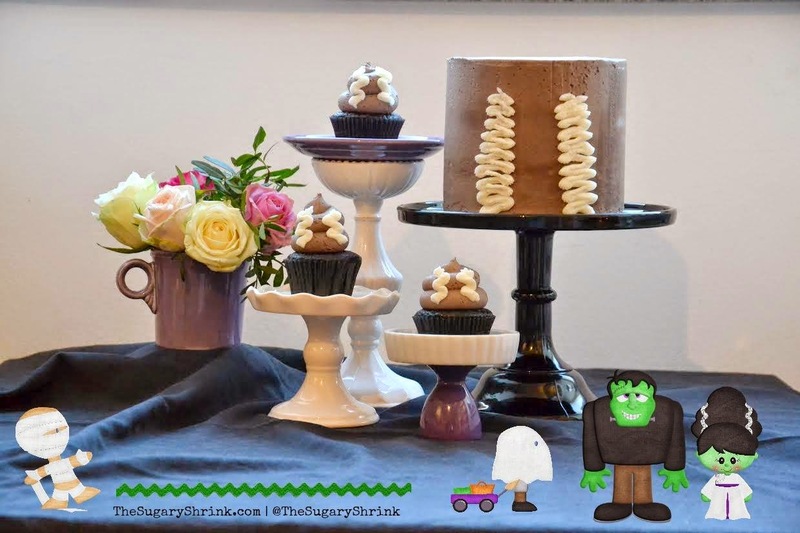 Since I'd baked the Frankencake with little Frankenmonster Cupcakes, it was a no-brainer to consider the lovely Mrs. The first consideration was shape...should I dome the top of the cake to echo her original hairdo or bake a traditionally-shaped cake. I was on the fence. If I'd been able to bake, decorate, and shoot both cakes back-to-back, I would have domed her hair (I think?). Since there was a gap, I chose a more interpretive route. And I believe it worked out very well. The graphics help. 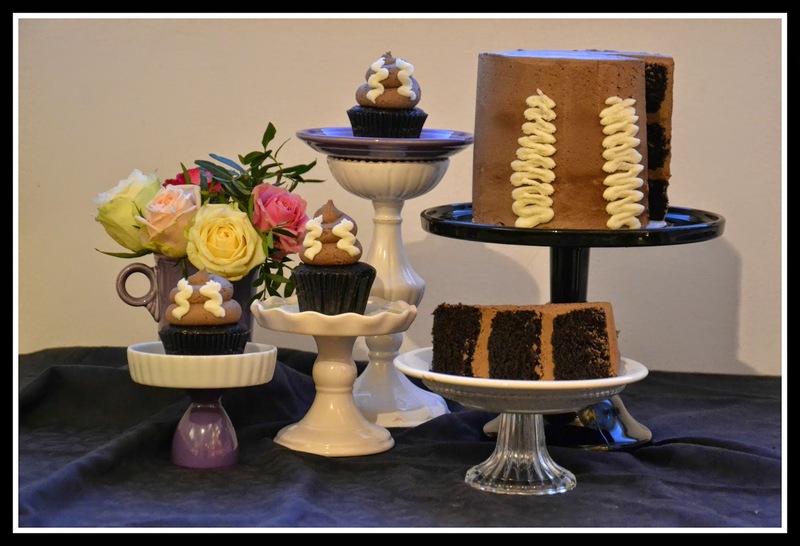 One of a my cardinal rules of cupcake decorating concerns ...the chocolate swirl. swirl on a cupcake unadorned. It's such an amazing biological reminder, that I simply can't leave it. I'll acknowledge this could be a solid decade of diaper changing talking...but the plain swirl is begging for some teenage potty humor. In this case, the Bride's fancy streaks transformd this cupcake into something delightful. This cake was delicious. If I tackle it again, I'll probably dome the top of the cake and possibly work the streaks a bit differently. I don't think I'd mess with the cupcake design. I love my Test Kitchen projects!! I'm grateful for the opportunity to bake cake and try new things. And, none of it is possible without my partner. A huge shout-out to Marie for her way cute graphics! Her really fun blog is here.